The opioid epidemic is affecting our children in record numbers. National statistics reveal that 3000 children were poisoned by opioids, 60% were less than 5 years old, and almost all occurred in the home. In a recent 2 year period 39 children were admitted to Rady Children’s Hospital for the ingestion of an opioid or narcotic. 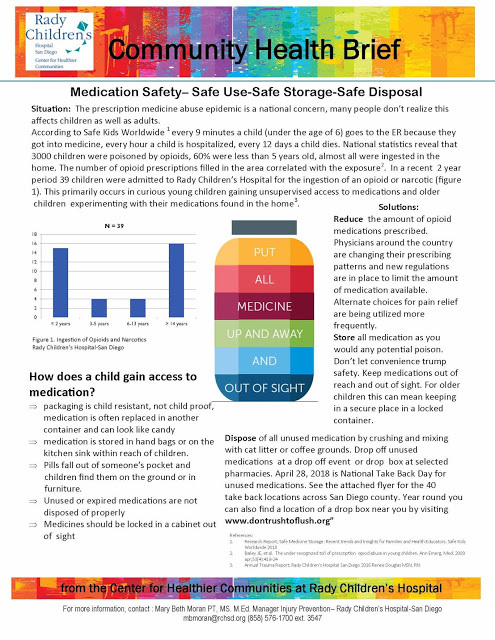 One part of the solution is storing medications as you would any poison, and disposing of unused medications. 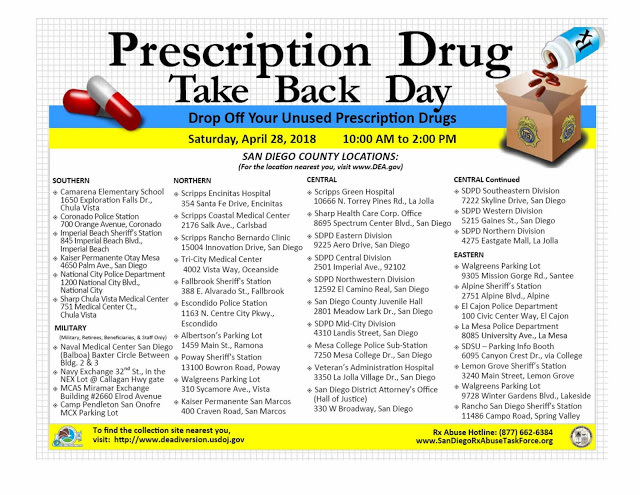 April 28, 2018 is National Take Back Day for unused medications. 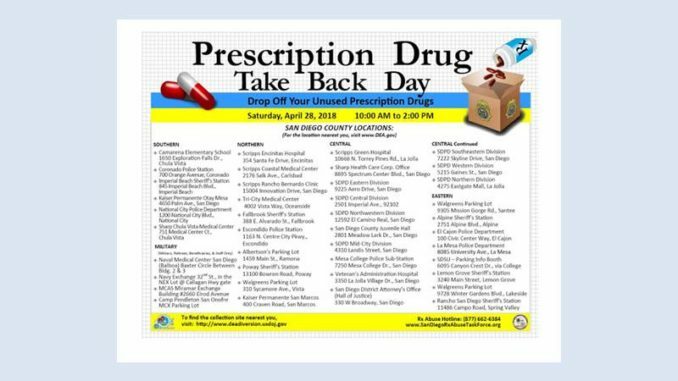 You can drop off unused medications at a drop off event or drop box at selected pharmacies. Disposing of unused meds and sharing this with families and the communities you serve is one way we can all help to be part of the solution. Unused medications can be dropped off at Northern Division Police Station, 4275 Eastgate Mall from 10 AM to 2 PM. Refer to attached graphics for addition information and locations.